Another month has come and gone and we are so much closer to BEA 2015!!! I'm so excited aren't you?? That's so crazy. Well since it's gone here are the books I have read, the reviews I have written and a recap of all the awesomeness that came my way. Complete all 13 library books I ended up returning them so I could concentrate on cleaning up the books already on my kindle and on myshelves, plus as soon as I go tthem I didn't feel in the mood to pick them up o_o. Maybe next moneth. And a few adult books, just to spice the weekends up. 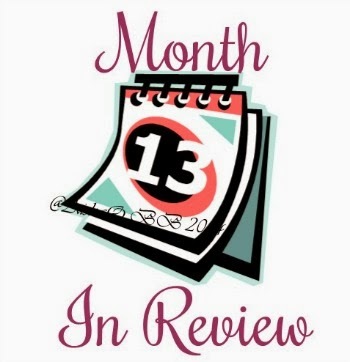 If you couldn't tell by the books I completed this month, April is going to be Romance and New Adult Month on the Blog!! Woot Woot. I can't wait to share all the good, the bad and the ugly of all the books I've read this month, including some recommendations, and some awesome giveaways. Make sure to swing back and make sure to be following me on my social media sites because I'll be giving away a few books as flash first come first serve books. Well there you have it, a pretty productive month so far and I'm kinda proud of where I am right now. How'd you do? ?